Say hello to this 3 bedroom / 2 bath ranch style home with 2 car garage located in the Sherwood Creek subdivision. 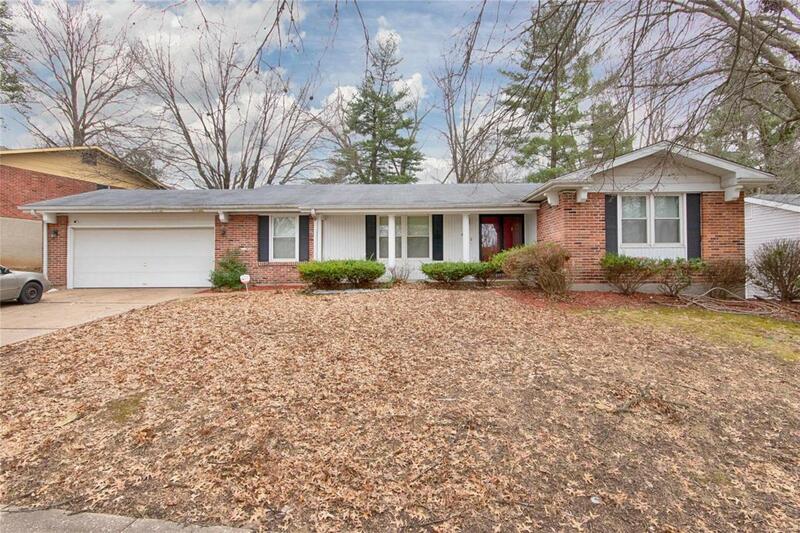 This home offers a level lot with many mature trees and an open floor plan inside. Enter into the foyer and experience the possibilities! Head into the living room with an oversized window to let in that warm sunshine. The eat-in kitchen features a lovely glass-top range and window overlooking the backyard. The dining room bursts with light from its magnificent chandelier! The family room features a rustic brick-surround wood-burning fireplace and a sliding glass door walk-out to the patio and big backyard. The master bedroom is a suite featuring a full bathroom. Floorplan offers 2 more generously sized bedrooms and second full bath. Basement is a perfect space for future finishing. Schedule a private showing today! Sold As-Is. Seller to make no repairs or provide any warranties. Cross Street Address Old Halls Ferry Rd.